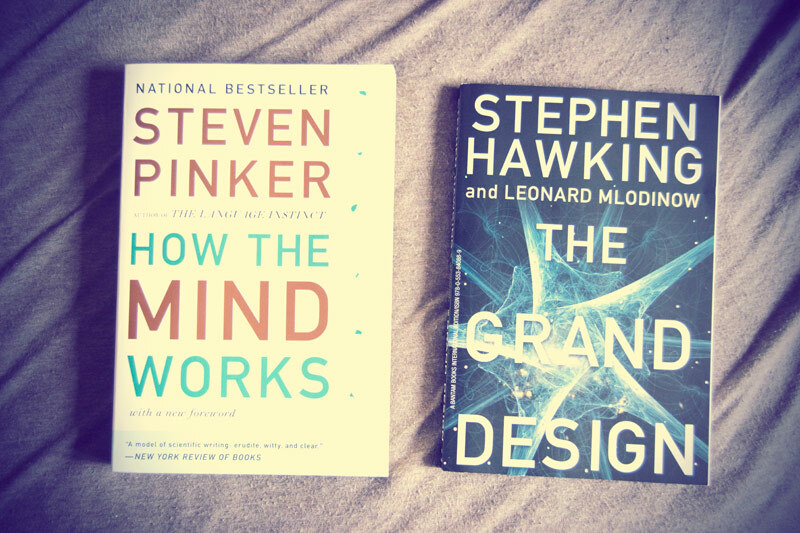 I highly recommend On Intelligence by Jeff Hawking. It describes a peculiar theory on how our brain produces what we call intelligence. Thank you! I will def. check it out! I go through the same mood with fiction now and then – especially when I’m busy I find I can’t justify wasting time on “pretend stories”. Then I’ll suddenly go the other way and start devouring them. These are all awesome book selections – I’m excited to read your reviews and see how your understanding of the mind and the universe unlocks new ideas in your artwork. Jeg leser veldig lite faglitteratur bortsett fra pensum, men her om dagen kom jeg over en artikkel om en blind mann som bruker ekkolokalisering for å se. Han er såpass flink til å orientere seg og høre avstander at han kan sykle gjennom trafikkerte gater. Kjempefascinerende! Den blinde mannen står i sentrum, men det blir også forklart hvordan menneskehjernen registrerer lyder og hvorfor ekkolokalisering også fungerer for mennesker – ikke bare flaggermus og delfiner. Det er utrolig dumt å ikke klare å lese skjønnlitteratur, men jeg tenker at å lese noe er bedre enn å lese ingenting. Jeg har sett en dokumentar om en ung gutt som brukte ekkolokalisering (tror den finnes på youtube, “The boy who can see without eyes”), det var utrolig fasinerende! Han kunne til og med spille basketball selv om han var blind. I just finished Eckhart Tolle’s “The Power of Now”. It is supposed to be a really well known book so it won’t surprise me if you have already read it. Also I have in line to read “The Double Flame: Love and Eroticism” from Octavio Paz. Judging from some extracts i read looks very interesting. 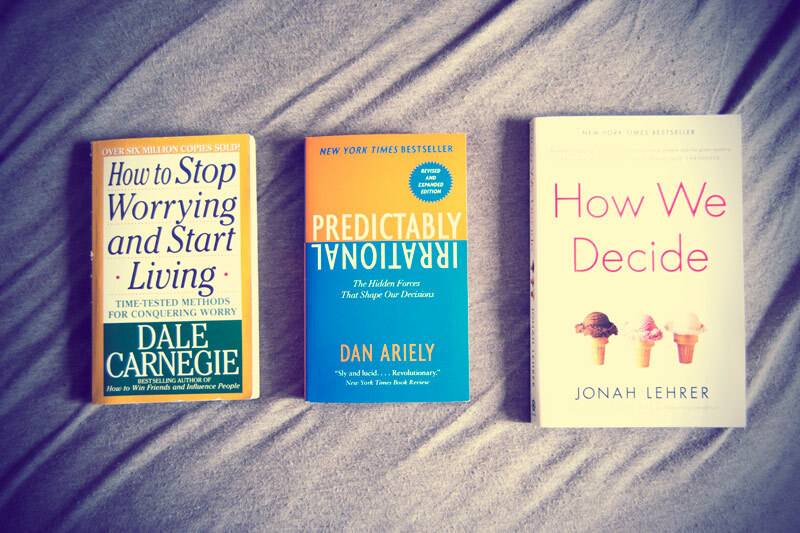 I was looking for a book to learn something too, so definitely i will read “How to Stop Worrying and Start Living”. I have to check out the book by Octavio Paz, I haven’t even heard about it! I also for the life of me can’t read fiction any more. But when I went on tour I FORCED myself to read a book my coworker lent me, “Another Roadside Attraction” by Tom Robbins. I definitely would have preferred to read a nonfiction book, but in the end I really did like the book. So I figure I’ve filled my fiction quota for the next couple years. I hear you. I tried reading a couple of fiction books, but I always ended up loosing interest after about 40 pages. I just figure it is not worth pushing myself in this area at the moment, the love of reading fiction will return when it returns. 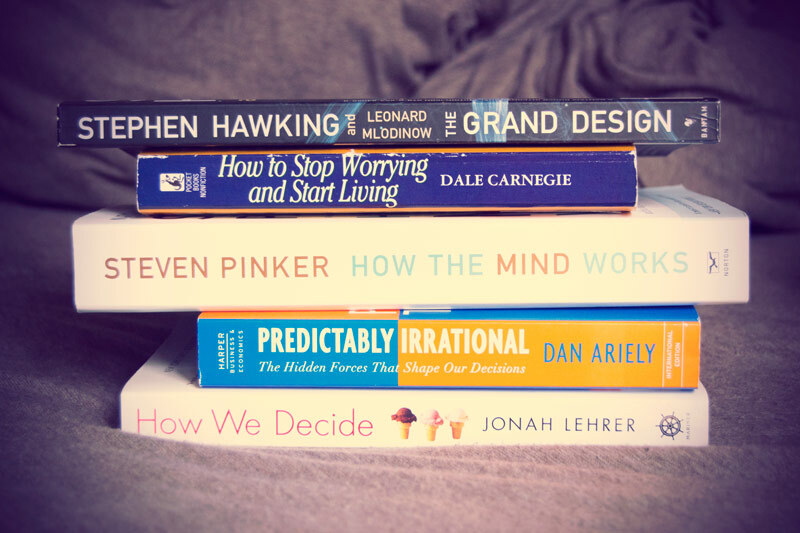 In the mean time, I will just spend my time reading awesome non-fiction.